LeMay – America’s Car Museum – The repository for America’s automotive treasures, gathering place for enthusiasts and the community, education programs for all ages and changing exhibitions and events. Visit America’s Car Museum website. RPM Foundation – Providing for the transfer of the knowledge to the next generation in the applied arts so that the skills necessary to the automotive communities are not lost. Visit the RPM Foundation website. Club Auto – Provides enthusiasts and collectors the opportunity to drive their cars and enjoy the camaraderie of others. And in doing so, promoting our message and providing public awareness. Learn more about Club Auto. 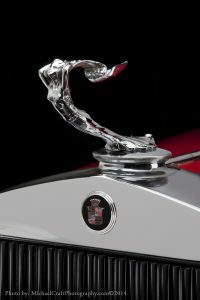 Concours Club – An organization of those who make philanthropic commitments to America’s Automotive Trust and its entities. Members are committed to helping us attain our vision and they enjoy exclusive benefits. Learn more about Concours Club. America’s Automotive Trust and its entities rely on the generosity of our donors to serve the community and secure America’s automotive heritage through our programs.